polishonlinenow.com allows learning Polish as a foreign language by online courses and lessons. Courses shall be also understood as online tests, which are used to confirm knowledge and skills concerning Polish language. Online courses and lessons of Polish are placed on an e-learning platform. Access to the platform is granted to users who have purchased courses or lessons. The e-learning platform forms an integral part of the polishonlinenow.com website. - browser: MSIE 7.0 or newer, Firefox 2.0 or newer. - installed plug-ins: Adobe Flash Player 8.0 or newer and Windows Media Player. If users do not satisfy the technical requirements, the Service Provider shall not bear responsibility for lack of possibility to use the services, or parts thereof, resulting from an inappropriate browser, incorrect configuration of software or hardware. The Service Provider does not guarantee that using the service will be possible to a full extent with every hardware and software configuration. All prices provided on webpages of the website are gross prices (they include VAT tax). The price which is visible at the product on a day of placing an order by a Customer is biding for both parties of the transaction. We issue invoices for all educational services and products soldi on the internet webpage. In order to receive the invoice, it is necessary to tick the field Please issue the invoice, while implementing the transaction in the purchase creator. Electronic invoice shall be sent to the e-mail address provided during registration. - Traditional transfer. The e-mail sent by us includes our bank account number. After posting the payment, we send a login and a password for the course by e-mail. All educational services and products have their access period. In case of money transfers, the aforementioned period shall be prolonged by the transfer wiring time. We spare no efforts to make polishonlinenow.com website work without any faults. However, there might by short interruptions in the functioning of the website and e-learning platform, resulting from necessary maintenance and modernization works thereof. Website administrator shall provide information concerning dates of planned maintenance and modernization works. In case of interruptions in the functioning of the website, which exceed 12 hours, we oblige ourselves to prolong the subscription of purchased services with the length equal at least to the period of time, during which polishonlinenow.com was unavailable. In order to prolong the subscription, it is necessary for a User to report the unavailability of the website, or essential part thereof, not later than 30 days after the failure. We reserve the right to changes of content of courses and lessons offered by us, including modifications of content of lessons as well as adding and removing elements. Such modifications shall be used exclusively in order to make the content of courses or lessons more updated and more attractive. 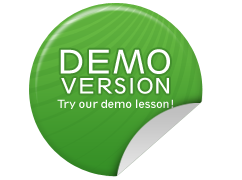 Purchasers shall login to the e-learning platform which includes online lessons and courses of Polish, with the login and password obtained during the purchase. In case of lessons or courses bought as a gift for another individual, the login and password for the e-learning platform, which includes lessons and courses, shall be sent to a person, the details of whom have been included in the form “Bought as a gift” while purchasing lessons or courses. Users have access to purchased courses 24 hours a day and 7 days a week, within the validity of the subscription period. Sharing the account with other individuals is forbidden. Users oblige themselves not to try to obtain access to resources, they are not entitled to. - manipulate or try to manipulate the content of polishonlinenow.com website by actions which threaten used software or which are used to destabilize the software. If the account has been frozen or cancelled due to infringement of the provisions herein or due to infringement of regulations of current laws by the User, the subscription fee for purchased courses shall not be refund. We take a great deal of care concerning the good of Users of the website. That is why we reserve the right for temporary blockade of the login and password to the e-learning platform, in case they are not being used in conformity with the goals of the platform. Users are allowed at any time to stop using the services and cancel their accounts by sending appropriate information to the Administrator’s address, provided on the Contact webpage. Refunding fee for unused parts of the subscription is not possible. - circumstances which justify the claim. Claims shall be sent by e-mail or traditional mail to polishonlinenow.com address provided on the Contact subpage, within 14 days after the subject of claim has occurred. The claim shall be considered within 7 working days from filing the complaint. It will include decision and justification. The Service Provider shall not bear responsibility for any damages resulting from the use, lack of ability to use or erroneous functioning of the Website or inappropriate use of polishonlinenow.com website by the User, except for damages resulting from intentional actions of the Service Provider. Materials which have been published on polishonlinenow.com website are under copyrights and they are subject to protection on the basis of Copyright and Ancillary Rights Act (Journal of Law of 1994, No. 24, Pos. 83 with amendments). Copying materials which have been published by us require a written consent of the Service Provider, excluding exceptions mentioned in point 2. Materials included in courses and lessons (texts, pictures, photos, audio recordings) can be used only by individuals who have bough out subscription for using a given course or lesson. Lesson attachments in a form of documents, PDF format or pictures can be printed and copied for a personal use, without the right for further distribution. Purchasing access to lessons and courses is equivalent to expressing consent for all provisions and information included in the regulations. We reserve the right to change the Regulations herein. We shall inform about the changes of the regulations on polishonlinenow.com webpage. Individuals who possess their account, shall receive information via e-mail. In matters not regulated by the regulations herein, the provisions of Polish law, including the Civil Code, shall apply.